Common sense can not be built into this project. 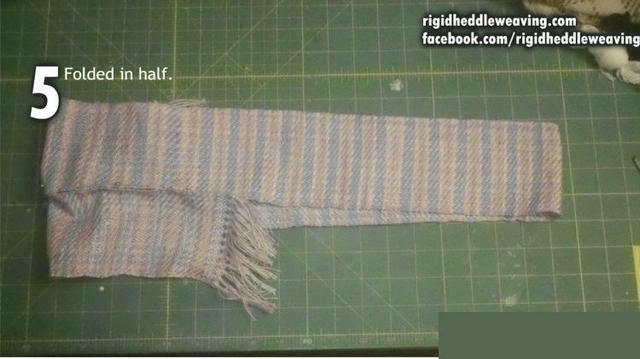 If you need to know the dimensions of the cloth to weave so that it will fit you, create a mock up with a scrap piece of material by pinning it together. 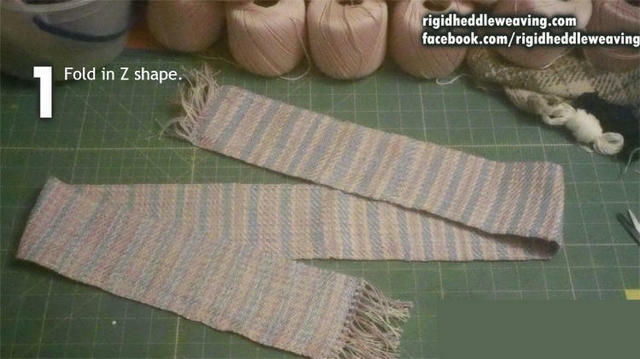 Step 1: Fold your length of fabric into a Z shape. Step 2: Bring the inside edges together in the center. 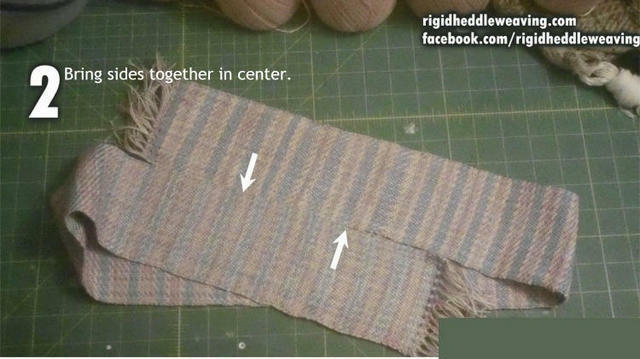 Step 3: Sew the edges at the center. 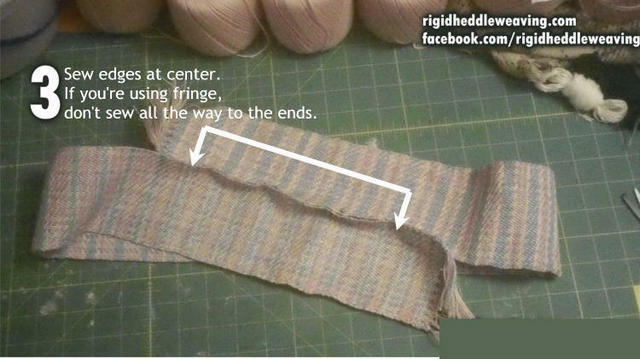 If you're using fringe, don't sew all the way to the ends. Leave enough unattached so that you can flip it to the outside once the bag is completed. 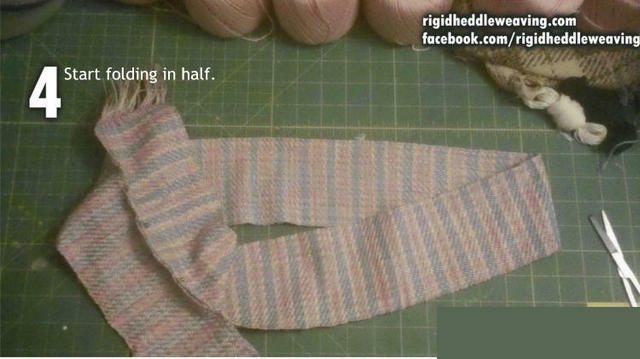 Step 4: Bring the seam to one end so that the cloth becomes folded in half. 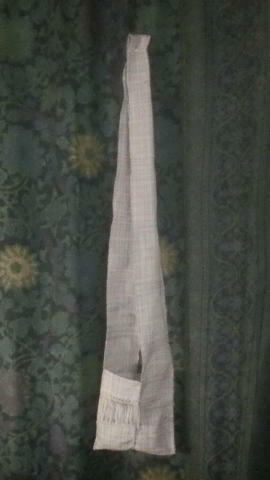 Step 5: This is what you should have when the cloth is folded in half. 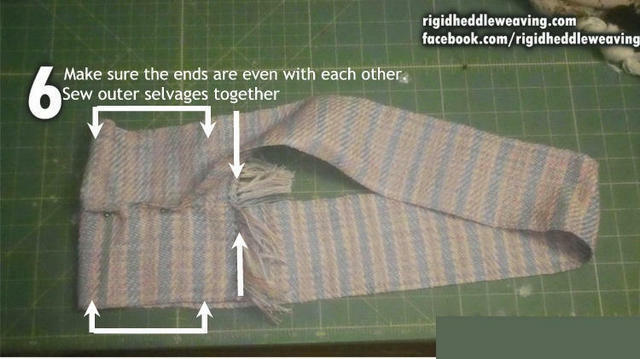 Step 6: Make sure the raw/fringed/hemmed edges of the bag opening are even with each other and sew the outer selvages together. Step 7: Turn your bag right side out. 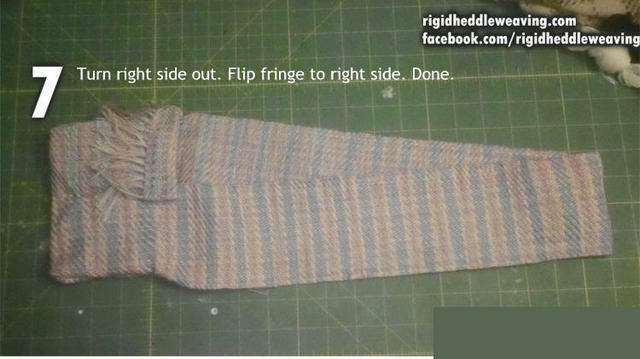 Flip any fringe to the right side and tack down. Done. Enjoy your bag. There's really no right or wrong way to make one of these so use whatever dimensions makes you happy!